OKI Data is a global manufacturer of award winning printers and printing solutions including high-performance, high definition color printers for desktop publishing and creative industries as well as printers and MFPs for general office use. In the beginning of June, the company has launched its new printer model for printing businesses. The Pro8432WT is an A3 graphic arts color LED device which will be unveiled on the upcoming PrintPack+Sign 2017 show at the Singapore Marina Bay Sands from 26-28 July 2017. The device will help design and graphic arts businesses grow. 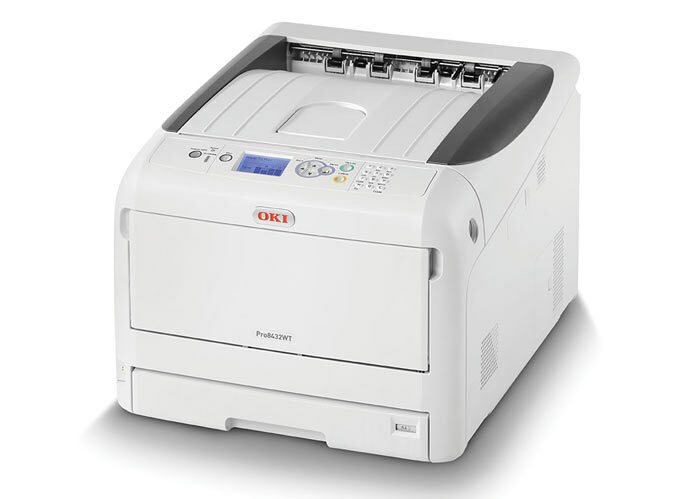 It features print speeds of up to 35 ppm and 20 ppm with A3 format, processor speed of 800MHz, print resolution of 1200 x 600 dpi with the ProQ Multi-level technology Paper input. The great advantage of the OKI Pro8432WT is its self-weeding capability needed when decorating colored garments and products. It allows to crucially diminish time which was impossible during the long multi-step processes previously required by traditional methods. White toner and great variety of media from cotton and man-made synthetic fabrics, to glass, metal, acrylic and wood give broad opportunities for design studios to produce complex output in a single step fast and cost-effective with no need to outsource. Moreover, the Pro8432WT boasts the smallest footprint and compact design in its class and will match any consumer-retail print shop or business carrying out light production printing. This entry was posted on Tuesday, June 6th, 2017 at 10:34 pm	and is filed under OKI. "New Brother MFP For Medium Offices"
"New Project Of Self-replicating 3D Printer"